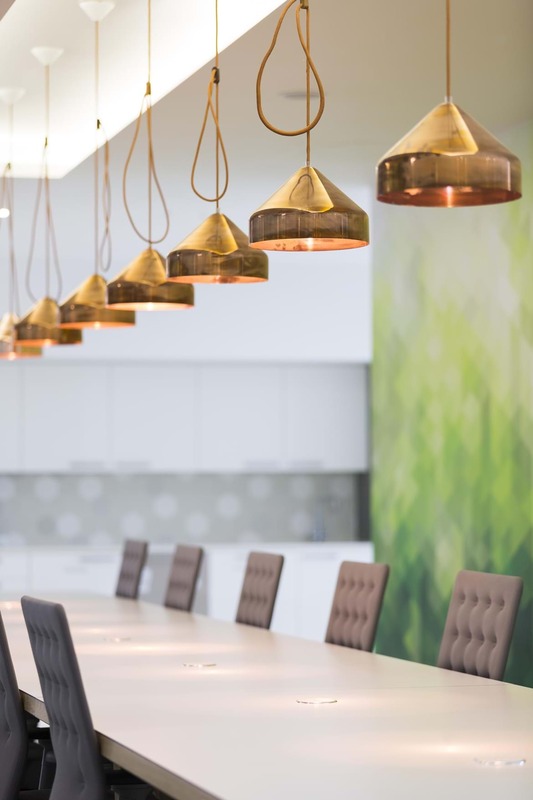 We were briefed to design an environment that reflected NCR as an iconic, vibrant and agile organisation. One which would enable a collaborative way of working, with a new improved client experience and provide for future expansion and flexibility. 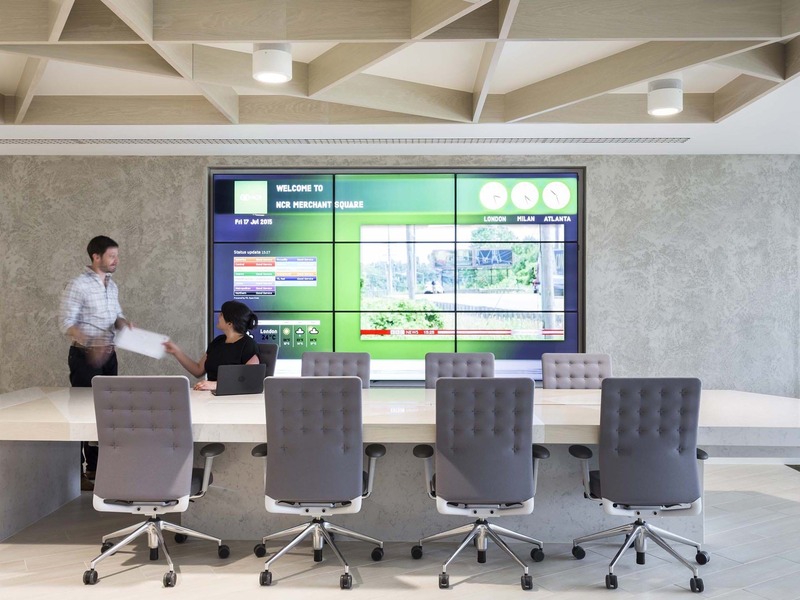 Long, wide “streets” cut through the building and give impressive vistas to central London, these accommodate the hot desks, informal meeting and breakout spaces for staff. 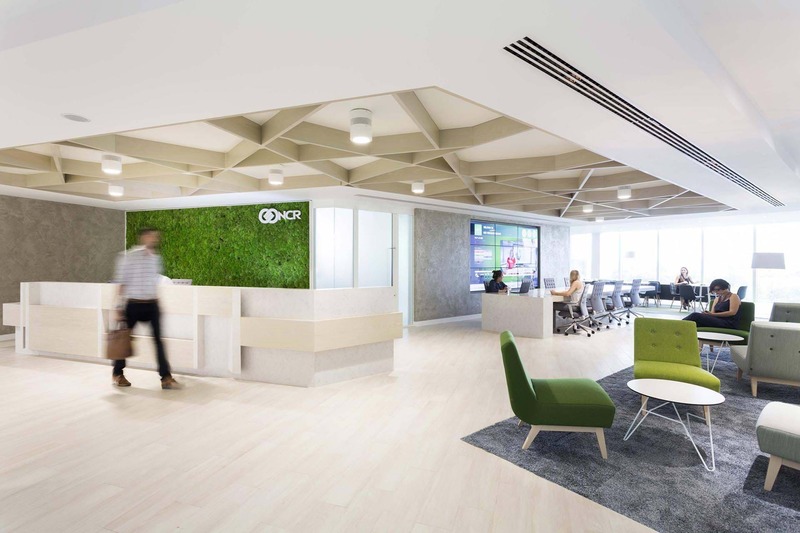 We incorporated an innovative bespoke reception desk and touchdown table, large video wall, timber lattice ceiling and moss feature wall at the entrance. 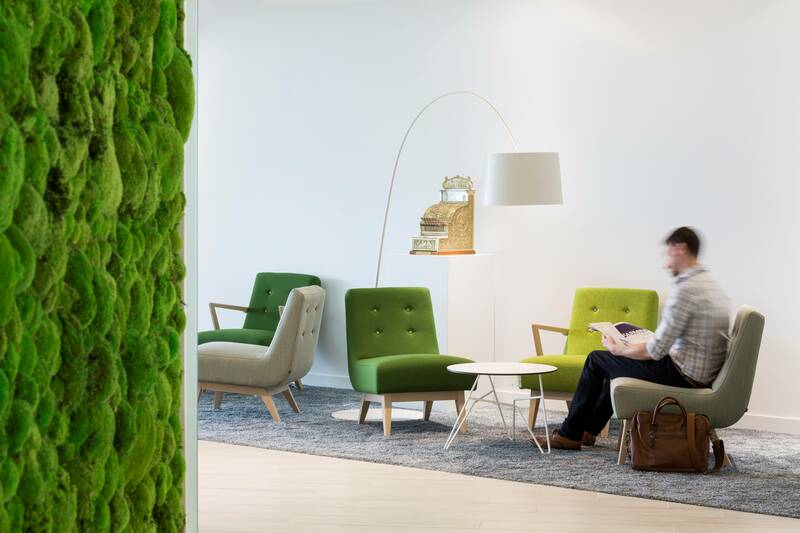 We have subsequently worked on a number of NCR EMEA projects to ensure the look and feel, workplace strategy and clear brand expression are brought to these projects too.